Scripps Ranch is a charming commuter town, where industrial and commercial activities don’t go beyond a small number of local retail stores. It is home to working families who decide to live in this area because of its tranquility. Scripps Ranch boasts many mature eucalyptus trees, which are regarded as its distinctive feature. This relatively young community of around 30,000 residents is a nice and welcoming place to live. Its residents invest in their property, because it provides a safe haven from the stressful working life. That is why many undertake various home renovation and Scripps Ranch room addition projects, of which kitchen remodeling is the most popular, as it offers many benefits. Whether your kitchen needs a full makeover, a more modern design or simply a remodel, you have a reliable partner for the project. Murray Lampert Design, Build, Remodel is the leading design-build company that services all of San Diego County. We start all our projects with a one-on-one meeting between the client and our staff architect, where they work together towards establishing a design outline. Our goal is to give you a kitchen that will fit your style and budget. Communication does not end there. We make sure you are regularly updated through phone calls, emails, face-to-face meetings and daily project updates. We feel that efficient project management is the first step to establishing a positive rapport with our clients. It is very important to understand that your input is vital to the project. Your remodeled kitchen should be exactly what you envisioned, so it is crucial you feel comfortable communicating your ideas to our staff architect. The designers and architects are here to make a custom design that will reflect your style and preferences. Taking your budget into account is equally important. That is why our staff is dedicated to finding the best possible options that will fit your budget, but still use high quality materials and products. Owing to excellent relationships we have with trade partners, inspectors, and other experts in the business, we are able to do a kitchen remodel that stays within your budget and is completed on time. Even though we have established ourselves as a veteran in home remodeling and we uphold traditional marketplace values, we have kept the pace with modern tendencies. These tendencies include the use of modern technologies, such as energy-saving materials and products, as well as groundbreaking modeling software. Once a design is made, we can create 3D renderings of your kitchen remodel, so you can see what it will look like after it is completed. In this way, you can decide on the possible changes and improvements to the design so that when the work in your home starts, you will know exactly what you will get. 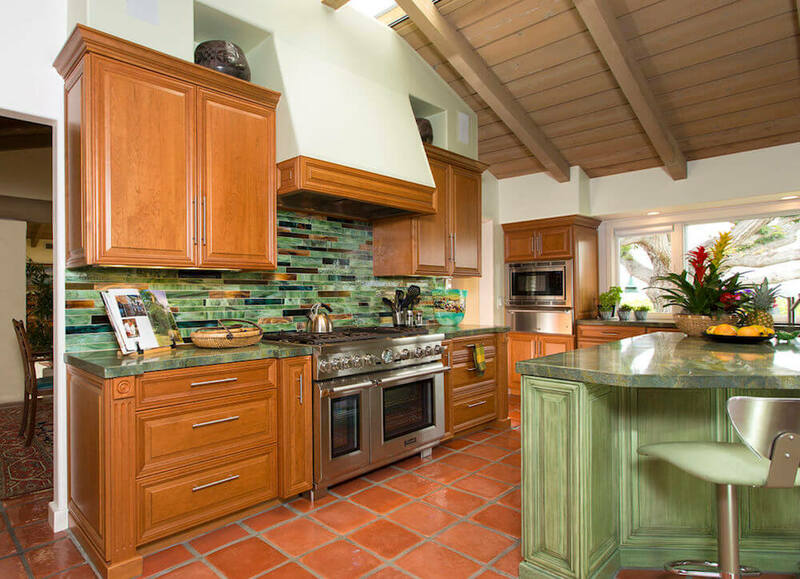 Murray Lampert has provided kitchen remodeling services to the community of Scripps Ranch for over four generations. Our superior craftsmanship, innovative design, custom service, and commitment to customer satisfaction have distinguished us from our competitors. We proudly maintain an A+ rating with the Better Business Bureau, which has been highlighted by our fourth BBB Torch Award for Marketplace Ethics. The reviews and testimonials we receive from our clients consistently exhibit nothing but 5-star ratings. If you want a reliable partner for your kitchen remodel in Scripps Ranch, Murray Lampert is the way to go. Contact us to schedule a free in-home consultation to get your project started.